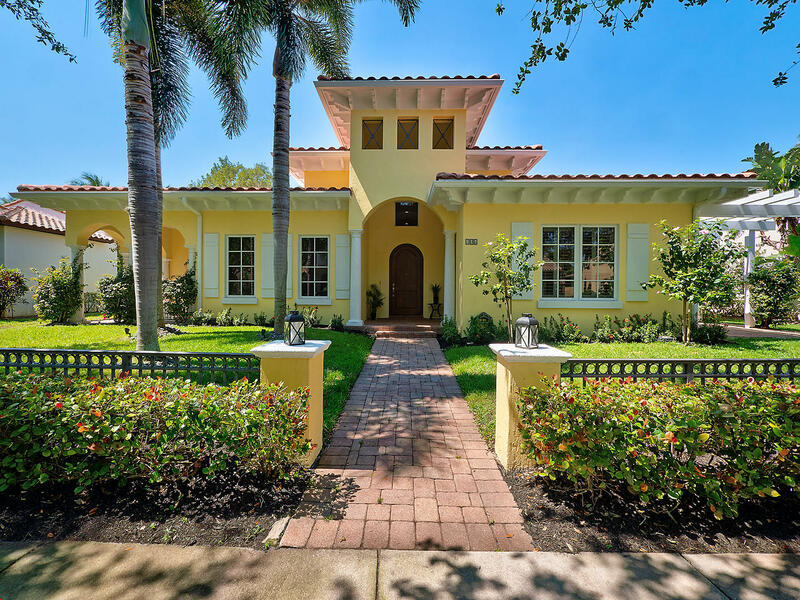 Immaculate custom home on a corner lot in a desirable neighborhood of Valencia. This 5 bedroom, plus office is filled with natural light. Double mahogany wood front glass doors open up to a large interior foyer. Brazilian Cherry floors in study aswell as all 5 bedrooms. Custom crown moldings and voluminous ceilings throughout the home. Private fence in backyard with high manicured hedges with uplighting , built in grill, large gunite pool, turf grass and covered patio area. Beautiful white custom kitchen cabinets, granite, gas stove, double wall oven and all stainless steel appliances. Main floor has master bedroom with 2 walk in closets, large sliders doors that overlook back yard. Upstairs are 4 bedrooms , and 2 full bathrooms. 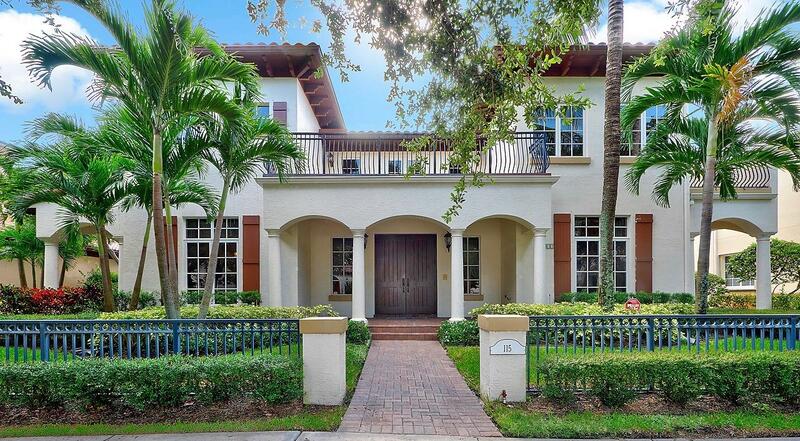 Great family home situated in the heart of Jupiter. 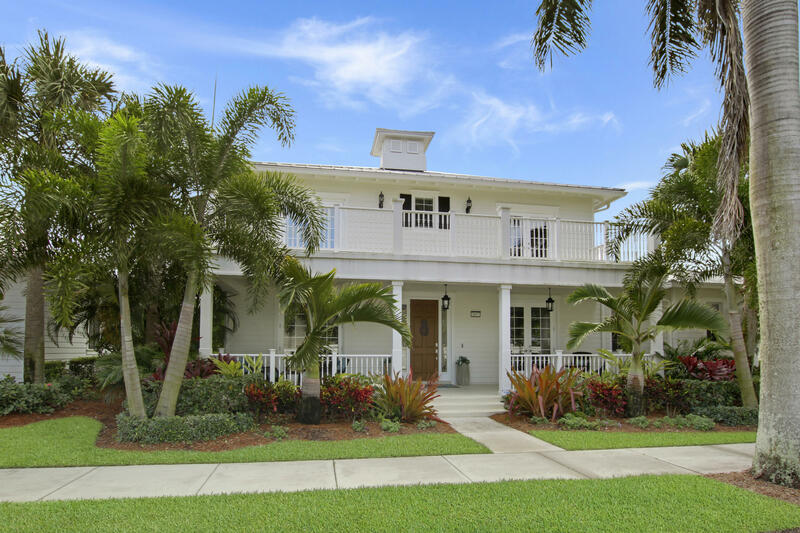 Exceptionally renovated 4 bedroom, 3 bath, 2 car garage with downstairs master suite in a great location within Valencia at Abacoa. 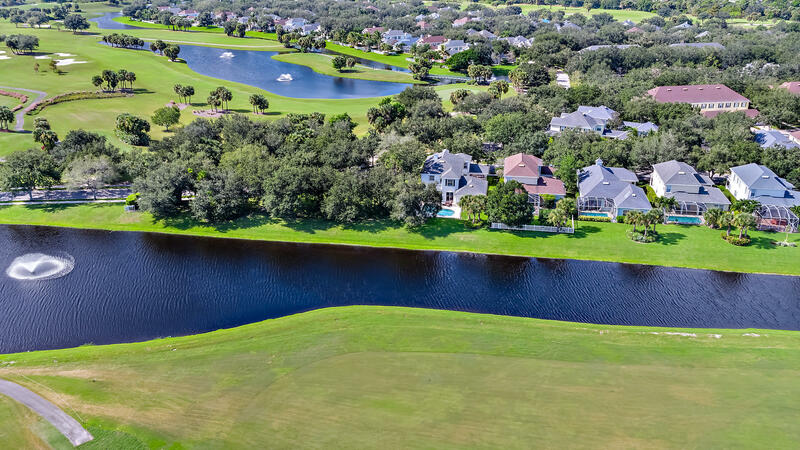 The home was completely renovated with style and elegance and features high quality wood flooring throughout the living areas, spectacular chief's kitchen with island and open to the spacious family room. 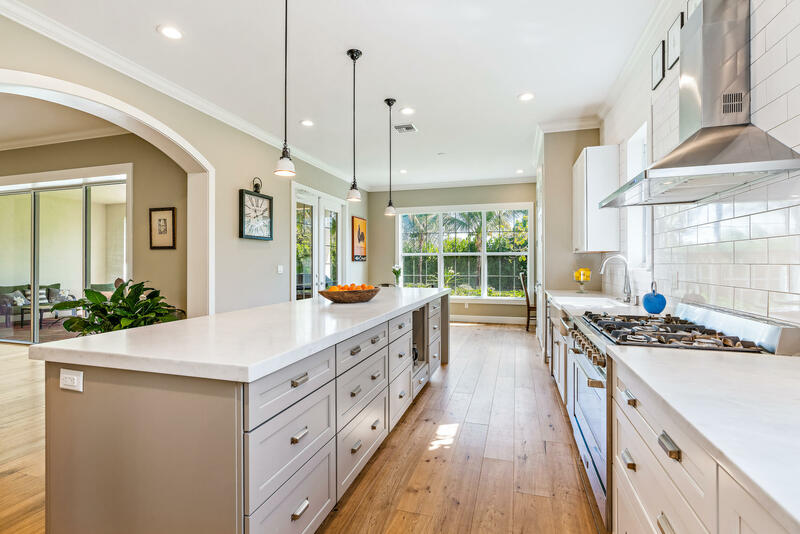 The kitchen features fine wood cabinetry, stylish quartz countertops, stainless steel appliances, 8 burner gas range and plenty of counter space for bar stools. The over-sized master suite boasts of double coffered ceilings with crown molding and plenty of natural light, his-&-hers walk-in closets, and luxurious master bathroom. Spacious covered patio over-looking the newly refinished salt water, infinity edge heated pool and spa and private backyard.